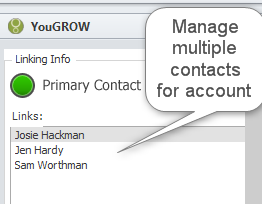 B: No Re-keying of data – enter information once, and it will flow through to your youGROW™ CRM. As you already have customers and sales in MYOB, Retail Manager or Ostendo, you start your youGROW™ CRM journey immediately with real data – your data. 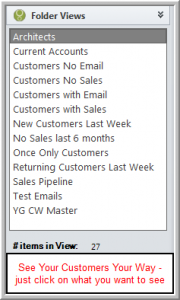 F: youGROW™ enables you to see your Sales Pipeline – and that of your team – at a glance. B: Create a targeted approach to win back customers before they leave. B: You won’t lose a sale because someone forgot, your reminders will pop up automatically. B: See just the customers you want to see with one mouse click. View your customers your way.